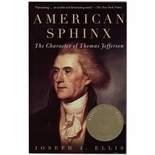 Rich with memorable, larger-than-life characters, beginning with Thomas Jefferson himself, the story is cast with such figures as James Turner Barclay, a messianic visionary who owned the house from 1831 to 1834; the fiery Uriah Levy, he of the six courts-martial and teenage wife; the colorful Confederate Colonel Benjamin Franklin Ficklin, who controlled Monticello during the Civil War; and the eccentric, high-living, deal-making egoist Jefferson Monroe Levy. 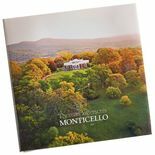 Pulling back the veil of history to reveal a story we thought we knew, Saving Monticello establishes this most American of houses as more truly reflective of the American experience than has ever been fully appreciated. Paperback, 314 pages, 8 black & white illustrations. 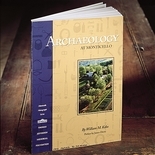 Marc Leepson, a freelance writer based in Middleburg, Virginia, has written for the New York Times, Preservation Magazine, Smithsonian, the Washington Post, and the Baltimore Sun, among many other magazines and newspapers, and is a recent contributor to the Encyclopedia Americana.